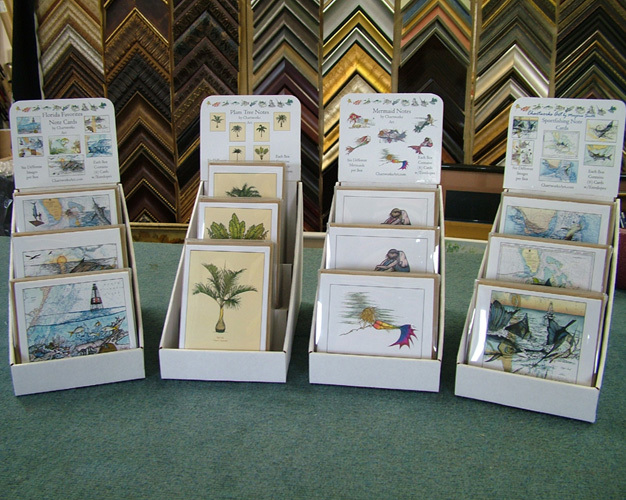 Display holds (125) Pieces: (75) 8" x 10" and (50) 11" x 14"
Our standing floor display measures 29 1/2" W x 31" D x 42 1/2" H.
ALL CHARTWORKS ART CAN BE CUSTOMIZED TO YOUR SPECIFIC AREA. PLEASE ASK ABOUT SPECIAL DESIGNS AND CUSTOM CHARTS. Countertop Displays Hold (12) Boxes of Note Cards.